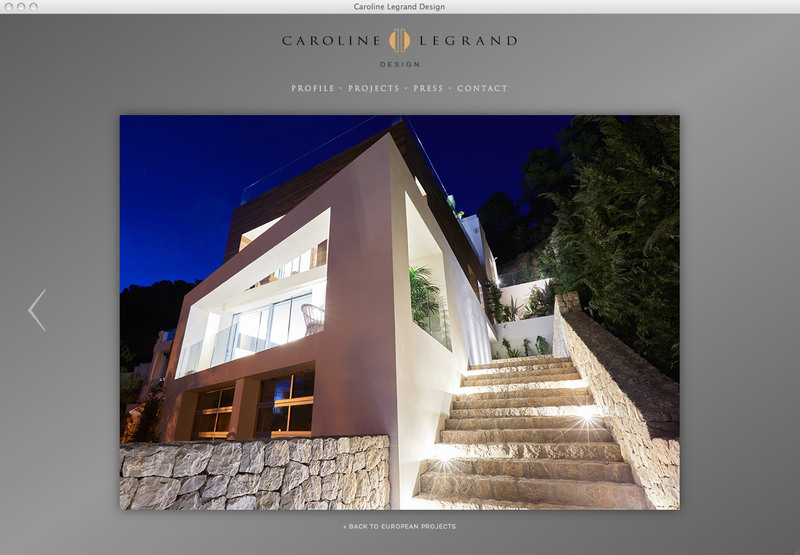 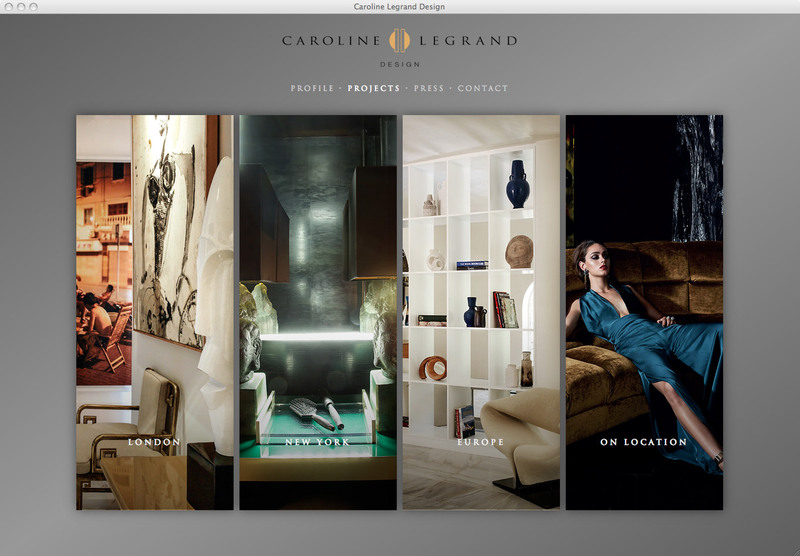 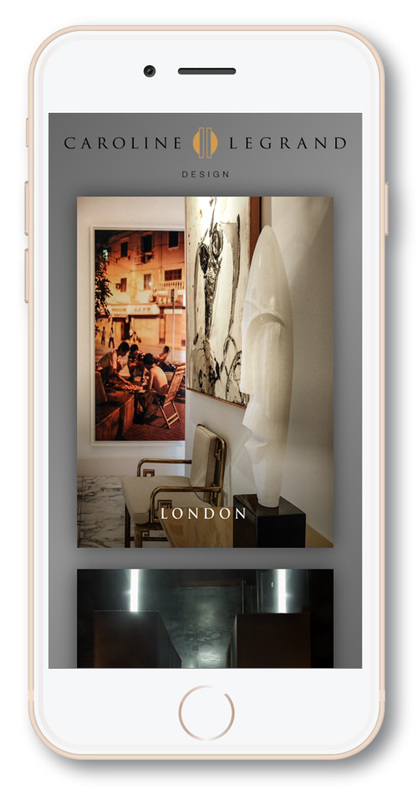 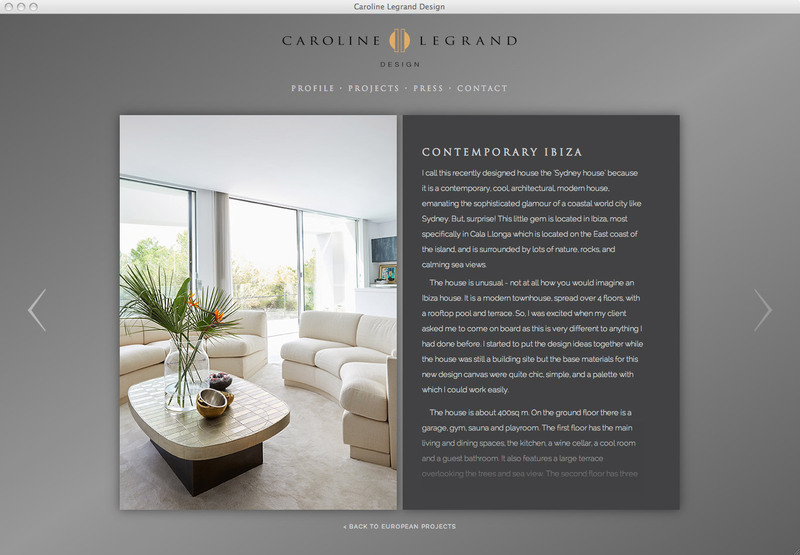 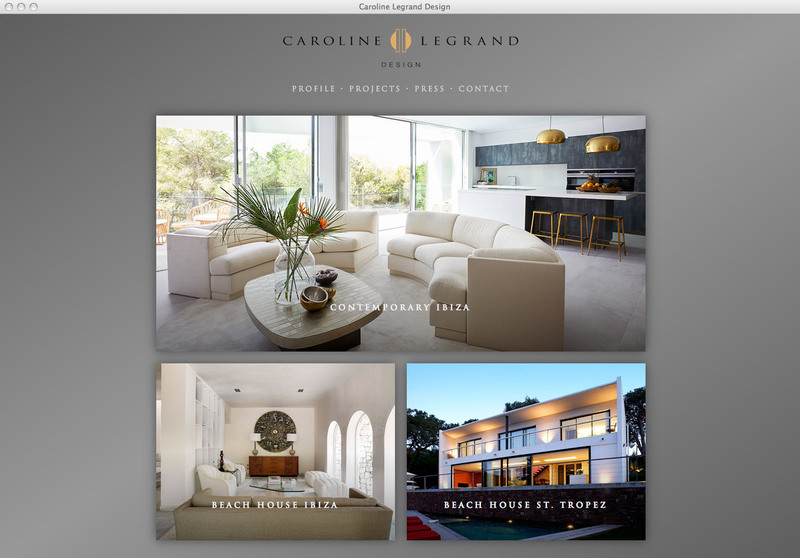 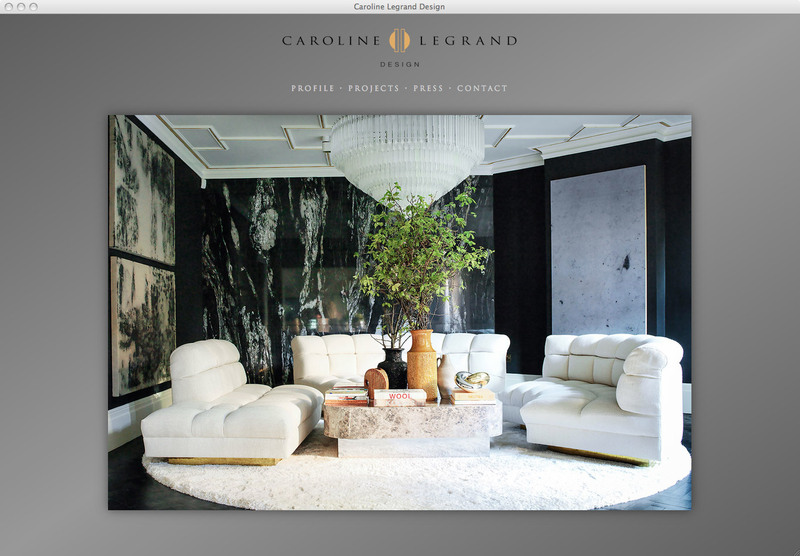 A bespoke portfolio website for international interior designer Caroline Legrand. 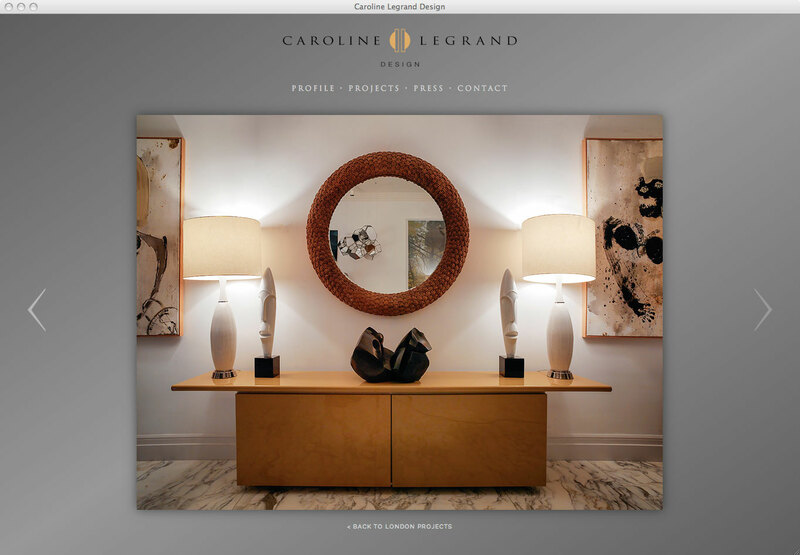 Belgian born interior designer Caroline Legrand describes the interiors she creates for her high-profile international clients as 'eclectic chic embodying sophistication, glamour and an element of whimsy'. 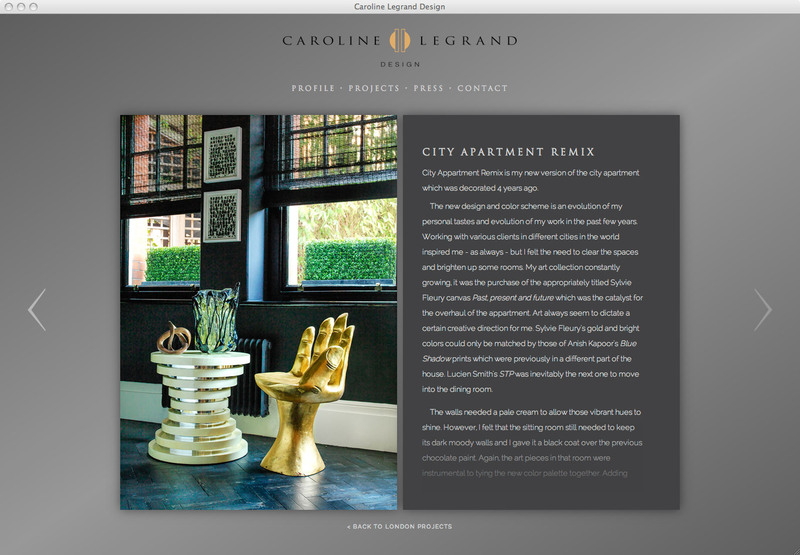 We first worked with Caroline in 2012 to develop her brand identity and to create a restrained, stylish portfolio website that would allow her work to speak for itself. 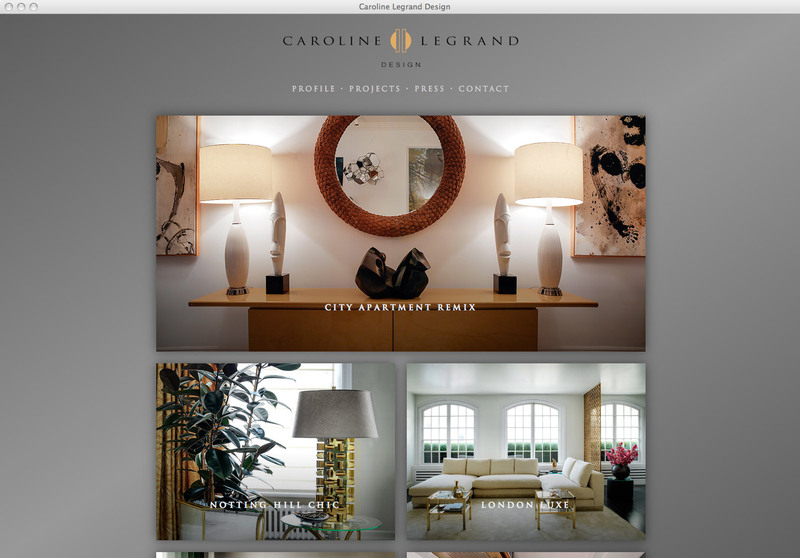 Her design reputation has since rocketed with celebrated projects completed in London, New York, LA and Europe. 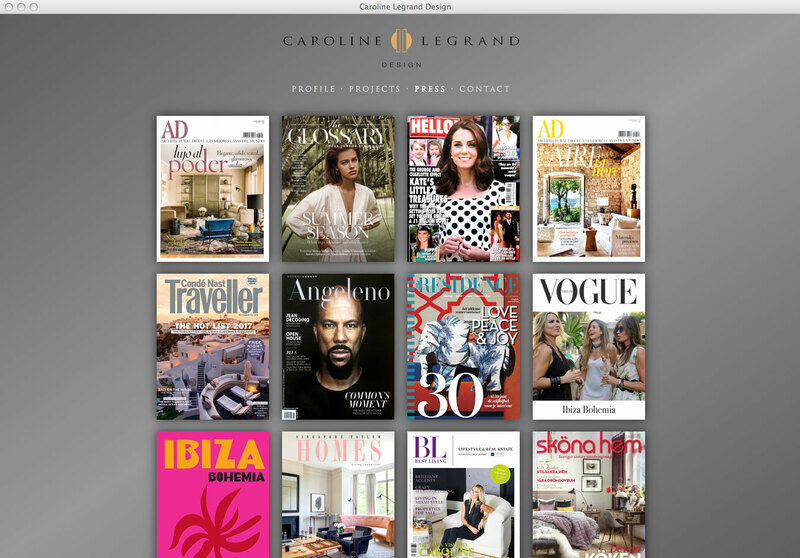 Consequently, she receives a huge amount of international press coverage from the likes of Architectural Digest, Elle Decoration, Grazia, Hello, Vogue, Conde Naste, Belle and Harpers Bazaar as well as renowned design websites and blogs. 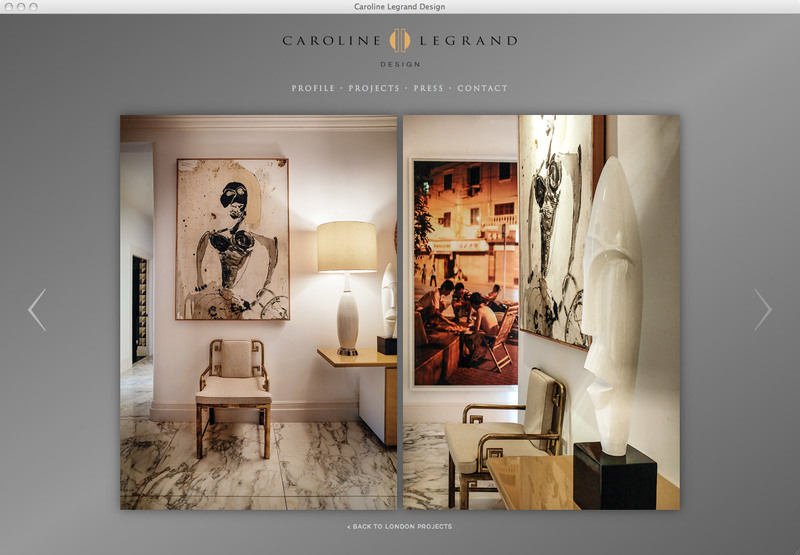 As the number and scope of her project commissions grows, the website has recently undergone a complete, ground-up refresh to allow for future growth and is fully platform and device responsive.